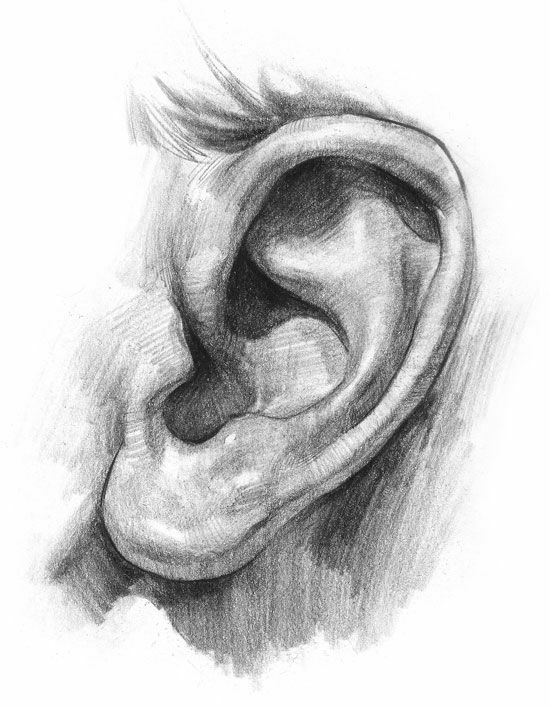 Current selected tag: 'ear drawing reference'. Clear. 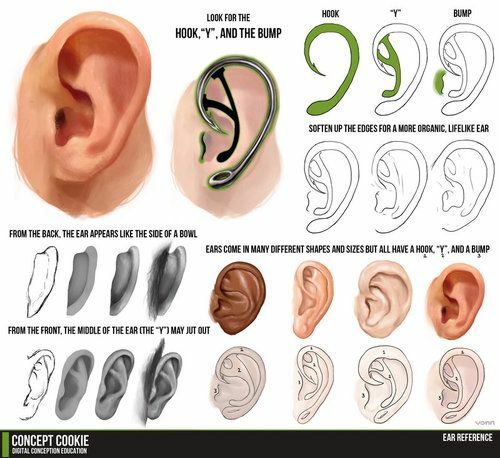 Learn how to draw human ears with this comprehensive reference guide. The guide includes useful descriptions about drawing different ear shapes. This drawing reference guide is for anyone who needs more practice drawing the ears. The image provides a detailed look at the contours, lighting, and overall shape of the ear.